First Time Buyers Alert! 3 bedroom rancher home on 6,000 sq ft lot. This whole house has been completely renovated, and it shows! Bright and open living room and kitchen with electric fireplace, stainless steel appliances, butcher block counters, gas range and large island. Beautiful Master Bedroom with a sliding barn door that connects you to a spacious ensuite, leading into a generous walk in closet. The flex room could be used for a dining area, play room, whatever you would like. The private backyard is flat, fully fenced, private, with a good sized workshop, and a tire swing! RV parking too. 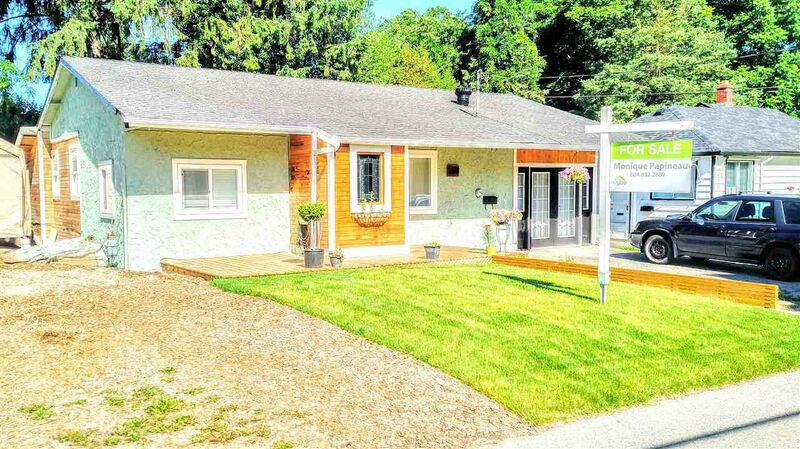 Located close to school, shops, transit and access to Hwy 1.